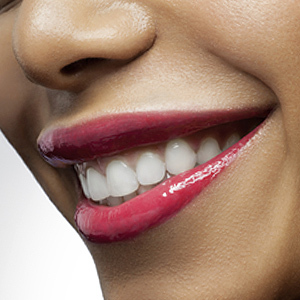 Be on the lookout for these early telltale signs that you may have oral cancer. While not often talked about as much as other types of cancers, oral cancer can be life threatening because it is often discovered much too late. One way to detect oral cancer as soon as possible is to keep up with those six-month dental appointments with our Lansing dentist Dr. Holly Scott-Hetchler. If you are experiencing any of these symptoms then it’s time you made your way to our office for a checkup. What are the signs and symptoms of oral cancer? What can cause oral cancer? There are certain lifestyle habits such as tobacco consumption or heavy alcohol use that can increase your risk of developing oral cancer. It’s also more common for people over the age of 40 to develop oral cancer. Sun exposure can also cause cancer to develop on the lips, so it’s important to wear sunscreen everyday (remember to apply it about 15 to 20 minutes before going out in the sun). Also, there has been an increase in oral cancer incidences due to human papillomavirus (HPV), a sexually-transmitted disease. What should I expect from an oral cancer screening? The screening our Lansing family dentist performs is fast and painless, and can be done at your next routine checkup. During this evaluation, we will visually inspect your lips, face, tongue, throat, and mouth for any of the above signs of oral cancer. If we find a suspicious lesion or growth we will recommend getting a biopsy. Early detection is key to protecting your oral health. By coming into our Lansing dental office every six months for routine exams you could just save your own life. If it’s time for your next appointment, contact Dr. Holly Scott-Hetchler today.